Making money with OmegaTheme is too easy, since our amazing products sells themselves. So it should be an easy decision for you to signing up for our Affiliate Program and make some easy money. Here at the OmegaTheme Affiliate Program you can find the best affiliate program for your web site. You will earn up to 60% in commission on per sale you refer from your web site. Our program is free to join, it's easy to sign-up and requires no technical knowledge. Affiliate programs are common throughout the Internet and offer website owners a means of profiting from their websites. Affiliates generate sales for commercial websites and in return receive a percentage of the value of those sales. 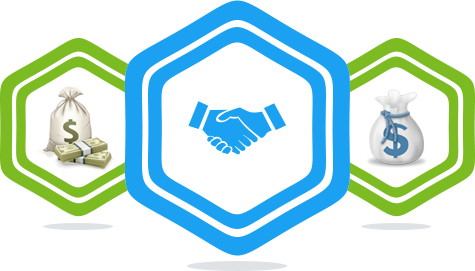 We give you the highest affiliate commission on the Joomla market: starts from 25% and up to 60%. These commissions might be changed in the future. We provide a wide range of eye-catching banner design and sizes, text links that you can display on your website to increase click-throughs and conversions. The process is dead-easy. You just sign up, choose a suitable banner and place it on your site. We also provide you with a lot of promotion materials to help you earn more commission. Payout Duration We will pay out commissions within 14 days from the end of the month. So affiliate commissions for June will be paid out by July 14th. Payout Method You need a PayPal account to join. PLUS - we'll give you a further 10% of all recurring subscriptions.